The album charted higher today than Keith Jarrett’s Koln Concert, the all-time best selling piano-only album from 1975. 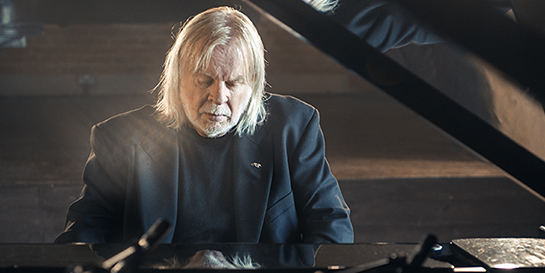 Revered keyboardist, songwriter and broadcaster Rick Wakeman recorded Piano Portraits prompted by the unprecedented reaction to his performance of David Bowie’s Life on Mars on BBC Radio 2 earlier on this year. The 15-track collection ranges from landmark David Bowie hits Life on Mars, for which Wakeman recorded the original piano parts, and Space Oddity to which he contributed mellotron; through The Beatles, Yes and Led Zeppelin; to classical pieces composed by Debussy and Tchaikovsky.